This metal relief wall art of Paris brings old fashioned courtship to life, showing a coy couple sneaking a kiss under an umbrella. 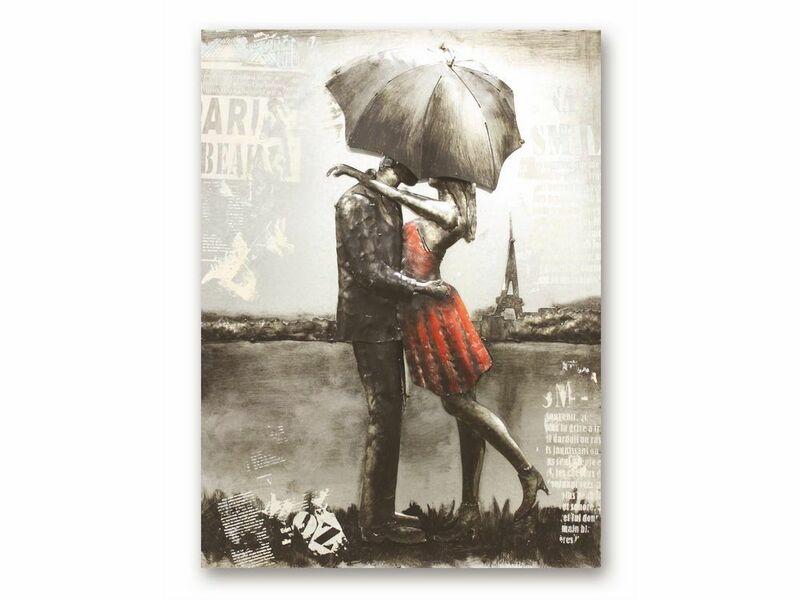 Showing the couple on the banks of the River Seine with the iconic Eiffel Tower in the background, this 3D Paris wall hanging oozes charm and romance. The lady's red dress is the only pop of colour in this black and white Parisian scene, ensuring the colour of love stands out for all to see. The aged finish of this metal relief wall art gives it a wonderful vintage feel and bags of character. Ideal for bringing warmth and old-fashioned romantic nostalgia to the home.